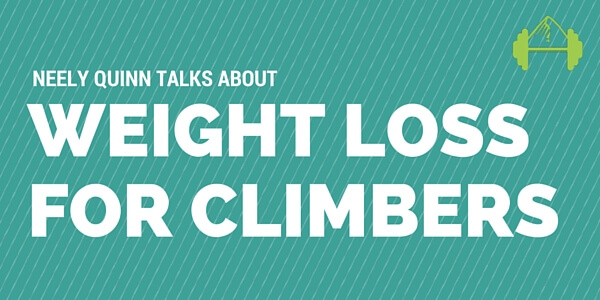 Working with your diet can give you that extra edge you need in order to climb harder and just feel better all around. Whether it’s by increasing your energy by tweaking your macronutrient and calorie intake, or by helping you lose a few extra pounds, we can make it happen together. I see people via phone or Skype/Facetime, whichever you prefer. If you’re in the Boulder area, we can make arrangements to meet, but almost all of my clients come from all over the U.S. and beyond, so I don’t have an office. Just choose the option below that fits your needs and purchase it right here from the site. Then email me to set up our first appointment at neely@trainingbeta.com. If you have any questions before we begin, please just send me an email and I’ll get back to you within one business day. This package will help you change your diet in a sustainable way with support throughout the month from me. The month package tends to keep people more accountable because of the weekly contact we have. On week 1 we’ll have our first hour-long conversation and I’ll get an idea of your current situation and your goals. I’ll make suggestions and give you a week to make changes. On week 2, we’ll have an email check-in where I’ll answer any questions you have and make further suggestions. On week 3, we’ll have another hour-long conversation and we’ll make further tweaks if necessary. On week 4, we’ll do a final email check-in. After that, you’ll either go out on your own or continue with another month with me. Usually my clients end up doing 1-3 months of nutrition coaching. You can expect to see results within 1 to 4 weeks, depending on your situation. It’s surprising – even to me sometimes – how quickly people’s bodies respond to proper nutrition and fueling. I’ve seen people struggling to get up V4’s easily send many V6’s after just 3 weeks of working together. I’ve also seen people lose 20 pounds over 4 months, 5 pounds over a month, and most of all I watch people gain a lot more energy than they had prior to working together. Email me for more info at neely@trainingbeta.com. This is for you if you know you need a lot of support to make big changes over time. It’s the same set-up as the one-month package above – we just work together for two months instead of one. We’ll be able to make significant beneficial changes to your diet in small steps. For more info, email me at neely@trainingbeta.com. If you just want to ask a few questions and get yourself up to speed on some things, this is a good option for you. We can’t do too much work in just one hour, but it’s definitely enough to let me get to know who you are, what your goals are, and then give you suggestions you can implement right away. For more info, email me at neely@trainingbeta.com. Am I A Good Fit For You? Below are the people who I generally work with. If you don’t see yourself on the list anywhere, please just email me to see if I can help. Over the years, I’ve realized that I really like working with athletes like myself who just want to be as healthy as they can be so they can climb harder, run faster, or whatever it is they’re trying to do. If you’re still wondering about whether I’m a good fit for your nutrition needs, here’s a video of me explaining what it’s like to work with me, who I generally see, and what kinds of results I usually see with people. After completing my Bachelor’s degree in Psychology and Zoology at the University of Wisconsin at Madison, I did a 4-year program in Longmont, CO called Seven Bowls School of Nutrition, Nourishment, and Healing for holistic nutrition. I graduated in 2007 as a Certified Integrative Clinical Nutrition Therapist. During those 4 years, I learned about not only nutrition, but herbs, homeopathy, and other alternative practices. Seen hundreds of clients either in person or via Skype. I’m the owner of TrainingBeta.com and the host of The TrainingBeta Podcast. I live in Boulder, Colorado with my husband, Seth, and our dog, Zala. I’ve been climbing for 20+ years and I’ve worked with my diet extensively to figure out proper fueling and recovery for optimal climbing performance. Partly due to those efforts, I’ve sent up to 5.13c sport climbs and V9 boulders. For more info about who I am as a climber and a person, check out my personal bio. Read some testimonials below from people who’ve worked with me. Being both a professional athlete and an ethical vegetarian is not easy. Neely helped me identify what areas of my diet were lacking and how I could improve both recovery time and athletic performance without compromising my ethical choice. She addressed a number of misconceptions I, and many others like me, have about proper nutrition and informed not only my weekly shopping list, but also my attitude towards food. I direct all of my diet and nutrition related questions to Neely, and I always receive a direct and thorough response. I initially consulted Neely concerning a sensitive stomach and quickly learned the daily discomfort I had come to accept was neither normal nor necessary. Neely’s educational approach and dedication to me as a client has enabled me to establish a solid understanding of my body’s nutritional needs and create a diet that works for me. Neely worked with me through struggles with protein deficiency, low energy, fatigue, and gluten sensitivity to improve not only my rock climbing performance but also my daily well being and happiness. Her honest and straight forward approach to nutrition, combined with the extensive research and data she uses to back her philosophies, allowed me to understand what my body needs. I trust her advice because she doesn’t just tell me what I need to change, she shows me and uses her past experiences as a basis for this informative nutritional journey. Neely understands the uniqueness of each person’s needs and she compassionately works to inform each person of the wide range of nutritional options available. Neely shares her profound and intimate knowledge of nutrition with me using a communication style that effectively cuts to the heart of the matter. She is helping me learn the truth about the foods I eat and how they impact my body. As a result of our work together my body composition, energy, mood, and overall wellness is improving dramatically! Thanks for being a fantastic food coach Neely! I have been a competitive athlete for 25 years, product development executive in the food industry for 15 years, and a fitness professional for 6 years. I considered myself well informed about food and nutrition and had a very clean, healthy diet by almost any standard. I went to Neely to see if I could return my athletic performance to a high level by improving my nutrition. 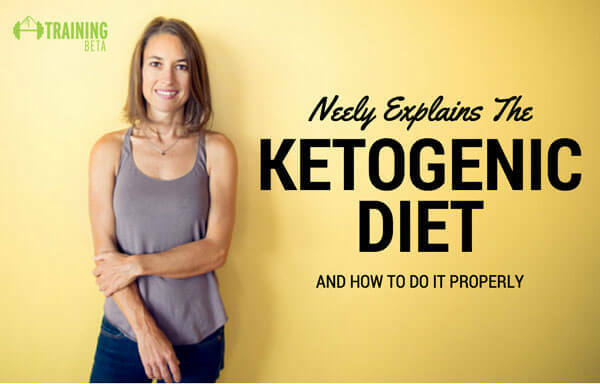 Neely helped me break through some life long misconceptions about nutrition and diet. By implementing her simple, logical suggestions, I have noticed a dramatic increase in my tolerance for and recovery from hard training, an increase in daily energy and a reduction in inflammation/irritation around old injuries. Much more important than improvements in athletic performance however, is a new, heightened level of awareness of the nutritional value of the food I eat. For me now, its not about a diet for high performance, but lifestyle of profound health and well being. Neely’s level of commitment to my success as her client was immediate. I had turned to her after seeing many different allopathic and homeopathic providers with no results. Without judgment of any of my prior treatments I had pursued, Neely was quick yet thorough in coming up with a nutrition plan aimed to correct my poor health. She was always available to answer my questions or concerns and responded promptly. Her commitment to me was further demonstrated as she stayed with me through the past year and a half as I went in and out of issues pertaining to my diet. Neely always made it known that she was there to support me. Over the last 1 ½ years I was being treated by a doctor and though I did have some improvement in the beginning, I had plateaued and was starting to have increased migraines again. I started following the guidance of Ms. Neely Quinn only 4 months ago. She did some testing and with the results was able to get me on a diet that no longer contains foods that my system is sensitive to. Over the first 2 months I saw slow improvements but have noticed now that I no longer worry about when my migraines will be showing up. I was having migraines at least once a week and I HAVEN’T HAD ONE IN TWO MONTHS! I also have had problems for over 10 years with constipation and since following Ms. Quinn’s plan, I have been able to get off stool softeners and I’m finally able to start healing my gut. Thank you Neely for allowing me to finally start living my life instead of avoiding everything that “might” give me a migraine, or worrying about when my next migraine would be! Since I was little I have had digestive issues. As an adult I began to experience worse symptoms that expanded beyond digestion. Finally, I started down the path of nutrition on my own–with a lot of guesswork. When I realized I had no idea what I was doing I started seeing a nutritionist in September of 2010. She made some great suggestions but also put me on a bunch of supplements that were not only expensive but made me feel bad–still using guesswork. Once I started reading Neely’s blog, I realized I needed to make her my nutritionist. She is quite brilliant. 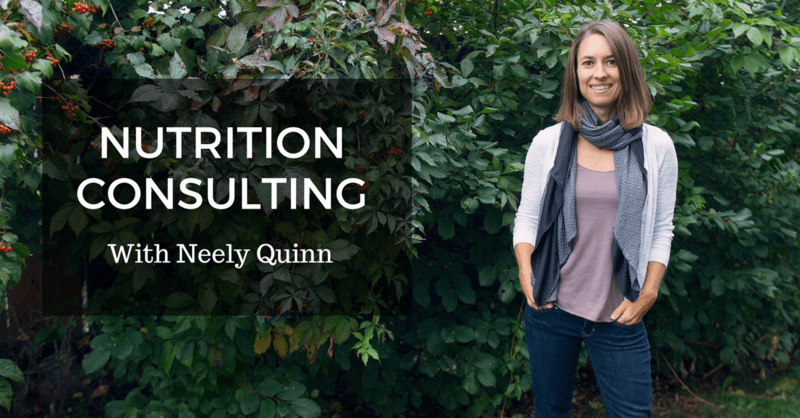 What I like about Neely is that she takes both a holistic and scientific approach to nutrition–eliminating the guesswork. I threw out the expensive supplements and began following Neely’s advice. Already I feel a lot better. With the help of Neely, I am beginning a food sensitivity elimination diet to help pinpoint my food sensitivities and symptoms. Neely’s support is really what I needed to feel hopeful that I will get better and also to keep me motivated and on track. She offers a practical and realistic approach that anyone can benefit from. If you want to reap these same benefits by properly changing your diet, just purchase a package above or email me at neely@trainingbeta.com and we’ll talk about the best option for you. These are a few podcast episodes I’ve recorded on various nutrition topics.